Kit focuses his practice on negotiating and drafting construction contracts. Additionally, he has experience in lean construction and with integrated project delivery, a process designed to eliminate waste in the construction process, inherently adding value to construction projects. As a part of his real estate practice, Kit advises clients on legal issues encountered with acquisitions, development, land use and zoning, financing, commercial leasing (office/retail/industrial), and title. He has been designated an Ohio Super Lawyers Rising Star each year from 2016 through 2018 – a distinction awarded to only 2.5% of all attorneys in Ohio under the age of 40. In addition to his real estate practice, Kit serves as general counsel for many of his business clients where he provides legal advice on all issues affecting their growing market shares, including issues related to federal and state regulatory compliance, corporate governance, and contract negotiations. 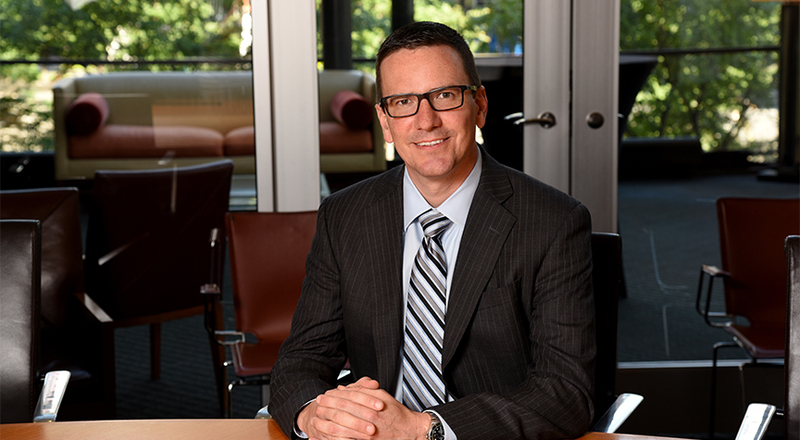 Where his business clients encounter legal issues outside of his expertise, Kit leverages the collective knowledge of Taft’s attorneys to provide full-service legal guidance. Similar to his counseling of private sector clients, Kit serves as the Village Solicitor of a local municipality where he provides legal guidance to the village in all aspects of government representation and governance. Early in his career, Kit gained extensive experience in the courtroom where he handled federal and state court litigation matters dealing with a vast range of legal disputes involving commercial real estate, construction, breach of contract, advertising and First Amendment law, and other complex multi-district litigation. Kit also formerly served as the vice president of a reputable title insurance agency, and he has advised oil and gas exploration companies on issues related to the development of the Utica Shale. Prior to becoming a lawyer, Kit was a professional pilot. He currently holds his commercial multi-engine pilot certificate, as well as various flight instructor and other ratings. His FAR 121 experience combined with his knowledge of avionics and the aviation industry makes him the ideal attorney for any aviation issue. Counsel for commercial developer with purchase, due diligence and development of more than 100 parcels in an eight state region. Counsel for numerous landlords and tenants in the negotiation and preparation of commercial leases. Represented a landlord in litigation with a tenant over a $450,000 buy/sell agreement, and settled the same for an agreed price of more than 160% of the appraised value. Handled various commercial foreclosures for notes in excess of $1,000,000. Counsel for various regional banks in multiple loan transactions and restructurings of troubled loans. Successfully defended a Fortune 500 billboard company at the trial court and appellate court level in a lawsuit brought by an environmental organization in regard to the constitutionality of a regulatory structure for the permitting of electronically changeable LED billboards. Counsel for business client on a range of legal matters affecting its seven entities selling and transporting goods from warehouses in a seven state region. Collected hundreds of thousands of dollars in delinquent accounts for a pharmaceutical company selling products throughout the continental United States. Assisted clients with navigating public bidding requirements. Review of Oil & Gas Law XXVII, Dallas Bar Association, 2012 (co-authored written materials and served as lecture panel member for Ohio law).